Supergirl: 6 Things You Might Have Missed in "Myriad"
Tonight's Supergirl gave us a lot to digest: superhero battles, the threat of a Kryptonite bomb, Maxwell Lord working for the good guys, and more. Also...look up above. When Superman was "tending to something off-world," was he...with the Legion of Super-Heroes? 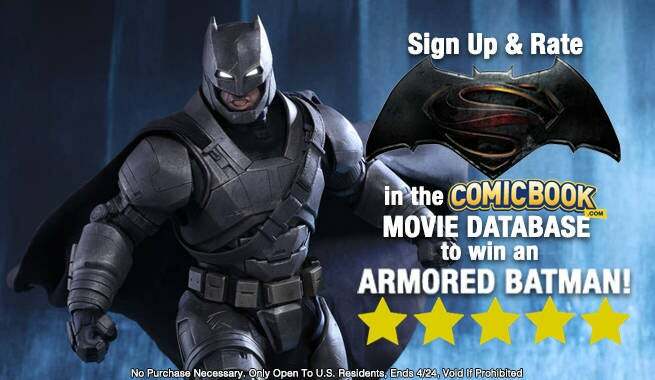 It sure looks to me like the ring is missing from the Fortress of Solitude. 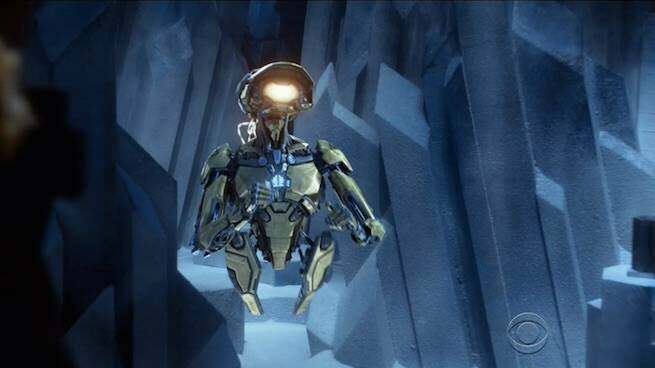 At any rate, there weren't a lot of Easter eggs considering all the plot going on...but we caught a few. Read on, and comment below! Superman refused her, so that means her origin here is probably about the same as it is in the comics. Maxima was introduced by Roger Stern and George Perez in late 1989 -- a queen of a warrior race, she traveled the universe looking for a suitable mate and thought she had found one in Superman. To her horror, he rejected her...and the two fought a few times so that she could try and overcome his resistance. Eventually, in her absence, her world was subjugated by Brainiac and she ended up staying on Earth and becoming a member of the Justice League for a while. We got another look at Kelex, who guards the Fortress of Solitude, in all his John Byrne-inspired glory. 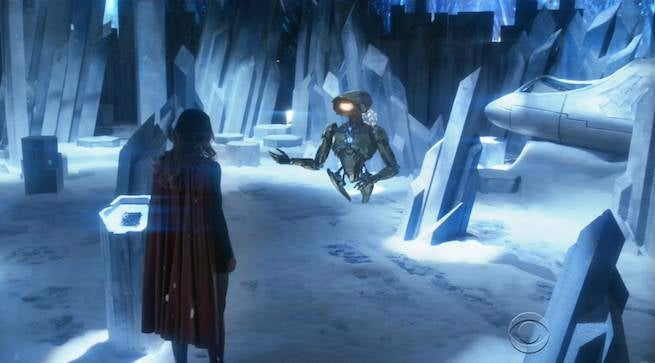 And at one point, Supergirl says that his prime directive is to safeguard the Kryptonian way of life. Preserving the Kryptonian way of life is the prime directive of another Kryptonian AI in the comics, too: The Eradicator. In the post-Crisis on Infinite Earths, pre-Flashpoint DCU, The Eradicator was a weapon, and later an AI, that was a foe and then a friend to Superman. Also: he's the one who designed the Fortress and Kelex -- or at least a version of them. 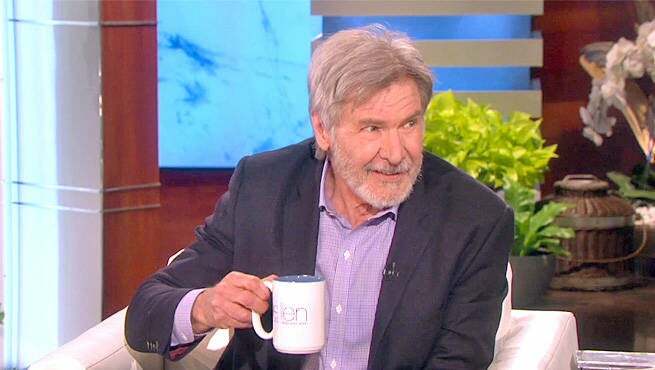 "Kara, tell Harrison Ford that once and for all, I don't date older men -- especially if they're married." 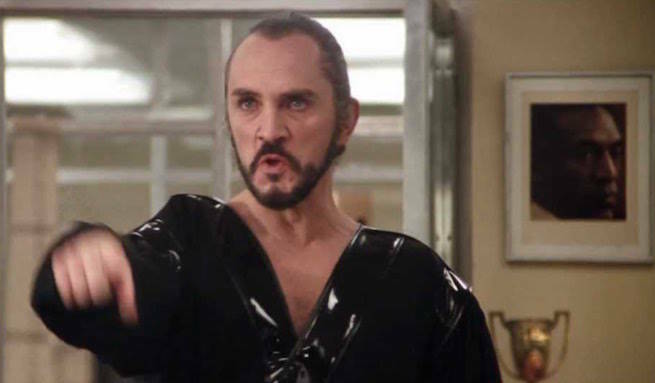 "The Son of Jor-El has already knelt before me," says Non, in the most overt reference to Superman II you're ever likely to see outside of ACTUALLY WATCHING IT. Max Lord is pretty familiar with the idea of weaponizing a satellite. 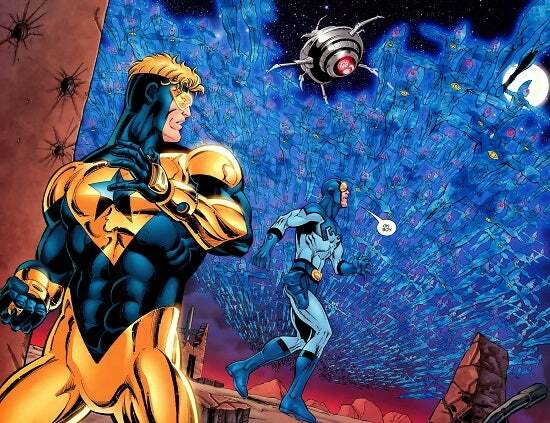 In Infinite Crisis, he hijacked one of Batman's intelligence-gathering satellites, Brother Eye, and used its OMAC Project to launch an attack on the metahuman community. First National City. 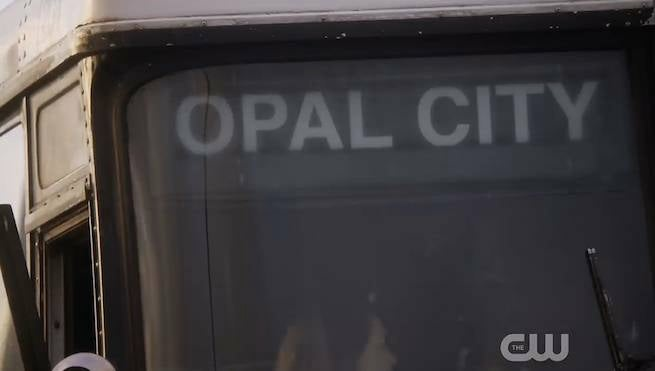 Next: Metropolis, Opal City, and Central City! Before Non and his troops ever get to Washington, DC, they're going to launch an attack on the hometowns of the likes of Superman, Starman and The Flash.